Oh the joys of motherhood, or should I say puppyhood...? What does every new marriage need - a puppy! It is the perfect solvent for a couple who want something to love besides each other. 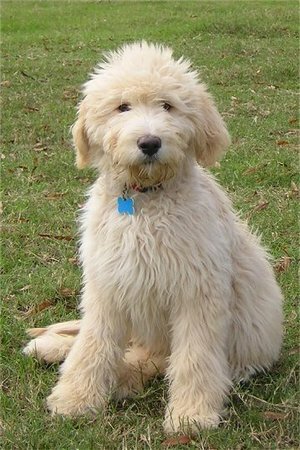 So, my husband, Jeff, and I have decided that a fuzzy, rather large goldendoodle is just the thing to solidify our fledgling union. 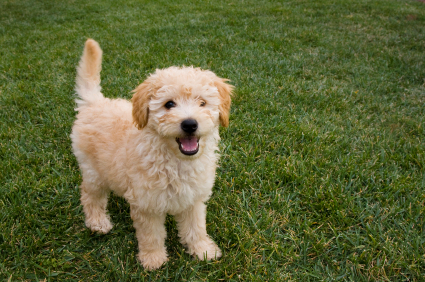 In case you don't know what a goldendoodle is, see below. As I overheard someone say, a doodle is a "designer dog" which is frankly a fancy way to say a mutt that was planned. 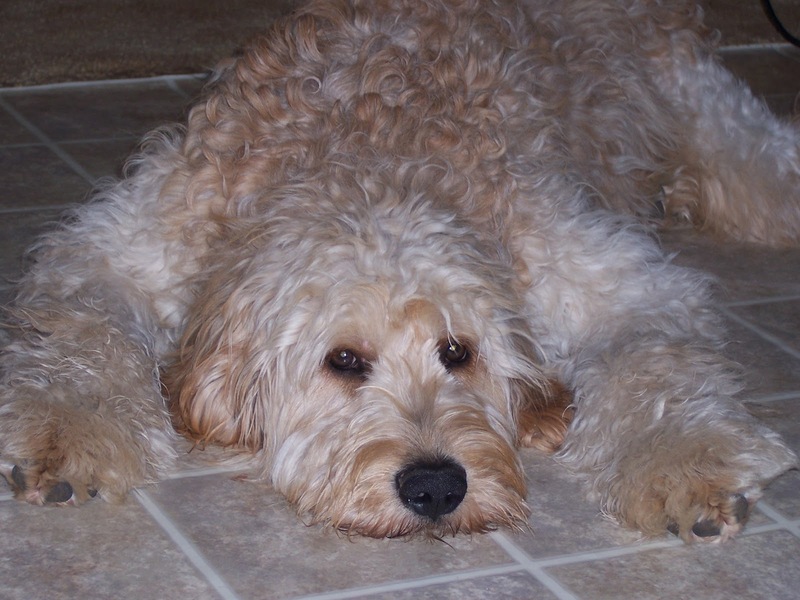 The doodle gets the best of both worlds gaining intelligence and height from the poodle and friendliness and pleasing nature from the retriever. 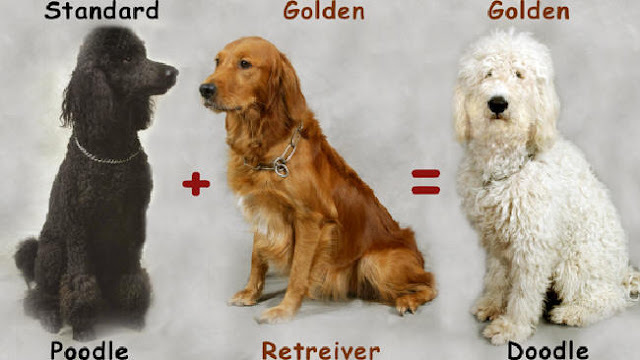 One big added benefit of these dogs is very light shedding, due to the poodle's influence. What does a real, live doodle look like? See Exhibit A below. Our puppy will basically look like a golden retriever but with more of a curly twinge to the fur. After a few months, our doodle should look more like this. He will be a strapping young pup with lots of energy to spare! Only if he grows to this monstrosity, can we grace him with names like "Bear" and "Beast." Now who wouldn't want to do that in their spare time? So adorable! I can't wait to see what your puppy looks like for real! Thank you both Shiela and Kate! I am so enthused about my blog AND Milton! Love the name Milton. What a BEAUTIFUL puppy! I'm loving your blog.